Follow the story of a free-born colonial in 1800's Australia. Most major changes are only achieved with a significant amount of pain - and so it was in the early part of the nineteenth century for the British settlement in New South Wales as it evolved from penal colony origins to begin the transition to nationhood. Conflicts abounded between settlers and natives, freemen and those from convict stock, English and Irish as each sought to retain their identity and secure a future in the developing nation. Within these turbulent times a young Tom Rourke fights his own personal battles as he too struggles with change as he moves from teenager to adult. As the son of a former Irish convict whose closest friend is a young warrior of the local Dharawal tribe, Tom quickly learns about prejudice and acceptance while the bonds established during his idyllic boyhood are severely tested. Tom's natural athleticism wins him admirers and acclaim in the illegal prize fights organised by Sydney's military, however, there are bitter lessons to be learned about love, family and his own values once he moves beyond the confines of his insular existence into the world beyond. 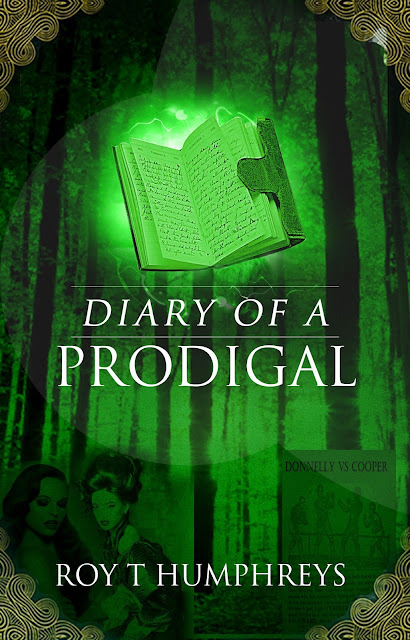 Set in the period 1819 to 1824 'Diary of a Prodigal' follows the life of a free born colonial from his rebellious teenage years in Sydney to an awakening of his true self in Ireland and his return to establish his own destiny as a pioneer settler in the new nation of Australia. This exceedingly well-written historical novel is set in Australia in the early 1800's. It follows the life and times of young Tom Rourke, son of Patrick Rourke that we first encountered in "Patrick's Journey" a couple of years ago. Twenty years have since passed. This book focuses on Tom, who is given a diary and begins writing in it. So the reader witnesses his story as well as historical developments in the emerging nation. I love the idea of a narrative via a diary as I am also inclined to write down thoughts and events in my life. Tom says "tis good for a man's soul to look back and acknowledge what state his mind was at during his life's journey." From a historical viewpoint, the author successfully captures the racial tensions existing at the time. Native peoples are considered "barbarians of the most unenlightened kind." Moreover, conflicts bristle between English and Irish, as well as between those whose ancestors were prisoners and those free born. All are struggling to find their place in the new nation. The epilogue is instructive and educational, informing the reader that among other items, Sydney is the oldest city in Australia, about the protracted Aboriginal wars, as well as documented facts about parts of Thomas' life. History buffs will enjoy the description of "real" money versus the colonial dollar. The first Female Factory for women prisoners was built in 1804, followed by a new one in 1821 that housed over 1200 women who were put to work including breaking rocks and untwisting old rope under harsh conditions. A sort of marriage bureau even operated within the factory where bachelors with appropriate certification could choose from a line-up of female convicts, and a marriage might be formalized. The author's disclaimer is that "while the story should only ever be viewed as fiction, the concept for this book was inspired by the life and times of my great grandfather, Thomas Humphreys." I "heard" pride in the voice of the author. Congratulations on this excellent historical fiction, Mr. Humphreys. Roy Humphreys is a former I.T. 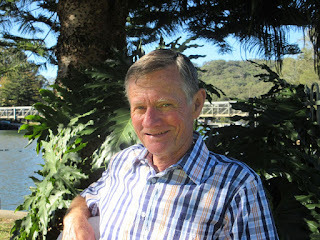 professional who is now retired and living in the southern suburbs of Sydney, New South Wales. A keen trail runner and fisherman, Roy enjoys the simple lifestyle that close proximity to the joys of the Royal National Park and Sydney coastal regions provide. However, as any family man with ten grandchildren would know, free time to pursue personal pleasures is not always easy to come by. A chance discussion at a family reunion years ago revealed that he was blessed with paternal ancestors who lived extraordinary lives. Research revealed stories of Irish rebellion against British rule, convict ship mutiny and pioneer settlement in early colonial Sydney. The stories and folklore provided him with a rich source of material for historical fiction books which capture the essence of his forebear's history while providing readers with easy-to-read, fast-paced action/adventure stories. I haven't read many historical fiction novels set in Australia and this one sounds good! Great review! The book sounds fascinating, I've never read one from that setting.